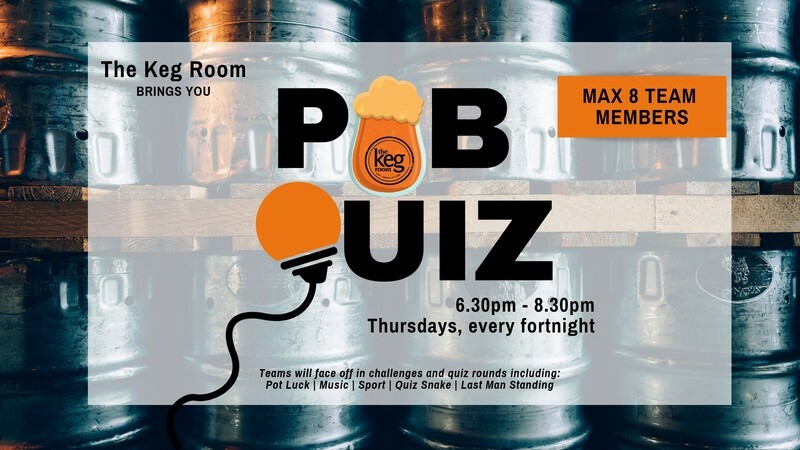 Join us at The Keg Room for Pub trivia! Our next quiz night is on the 21st of March. 5 rounds, loads of fun, plenty of laughs and $175 in prizes to be won each night. Round up your mates, colleagues even family, and get a seat at Rototuna's newest brain tingling night out. Bar tabs up for grabs, though let's be honest, bragging rights are more important! Call us to secure your table - teams of 3-8, no cost to enter.